WA 6215 is a Lifestyle For Sale by Maurice Maroney from Morgan Sudlow & Associates. This property was listed For Sale with a listing price of $1,950,000. Waroona properties have a median price of $250,000 with a growth of -26.5% over the past 12 months. 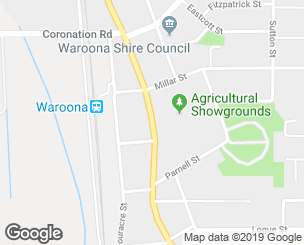 If you're interested in getting in touch with Maurice Maroney regarding Nanga Brook Road, Waroona please call 0428 868 255 or contact the agent via email. Are you interested in buying, renting or investing in Waroona? Here at REIWA, we recognise that choosing the right suburb is not an easy choice. To provide an understanding of the kind of lifestyle Waroona offers, we've collated all the relevant market information, key facts, demographics and statistics to help you make a confident and informed decision.